Mixes made exclusively for FACT Magazine are some of the best and exciting prospects to start our week. We check back eagerly every Monday to see what they're hosting this time, and even when we're unfamiliar with the artist, the mixes rarely disappoint. This week's stream-and-download comes from Portland's Liz Harris, aka haunting sound queen, Grouper. 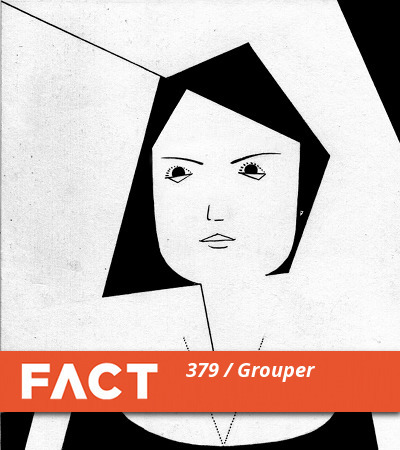 This collection of songs is a surprise collaboration between FACT and Grouper, two worlds we thought might never collide, but it's already a cherished addition with operatic vocals and melancholic string quartets. The mix doesn't have a tracklist because, as Harris puts it, there are several “traditional tunes that are hard to track down.” Fine with us. The mix starts with the ominous soundbyte of a British woman reciting a line from Scottish poet and humorist Ivor Cutler: “The best thing about being dead is that you no longer have to say I wish I were dead.” The mix carries on from there, inciting Halloween memories in an unlikely springtime month. Stream and download the mix at this link here.